The fence surrounding your home has two features: to protect the home as a security measure from criminals walking on and off the property and secondly, to give the home a character and style that adorns the exterior as well. A fence maintains the privacy of the residents, allowing them to spend time on their property to do as they please, without worrying about prying eyes. 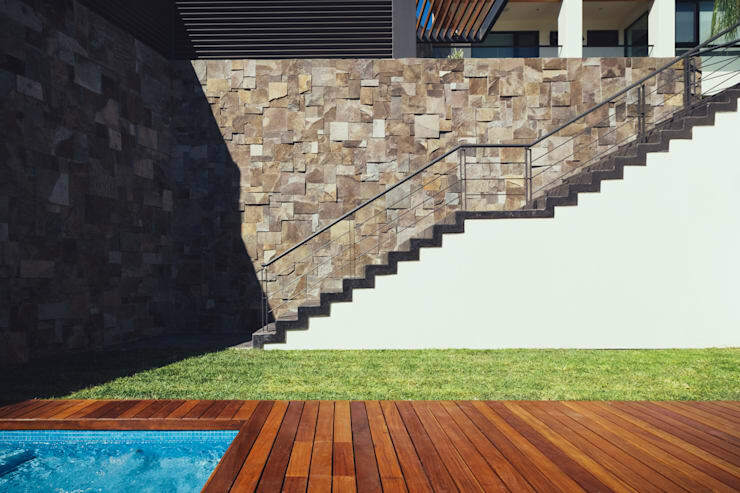 Before constructing the fence of your home, look at the style of your façade, can your home enjoy a fence style that is modern, or would the design need to be a bit more vintage? Houses with matching fences… now that's an idea! Using stone as a fence is a great idea. The architects here capitalised on the durability of the material, even though the colourful rocks have their own imperfections, it goes a long way to adding character and style to this modern home. 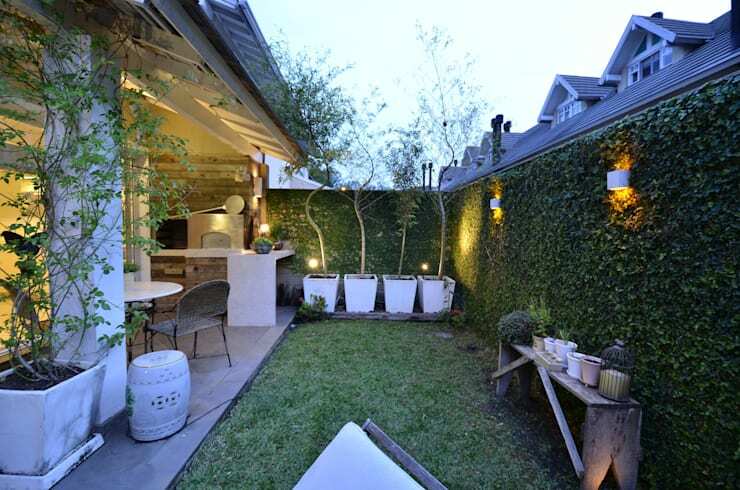 This type of fence is perfect for a modern home or a house with a vintage style exterior. 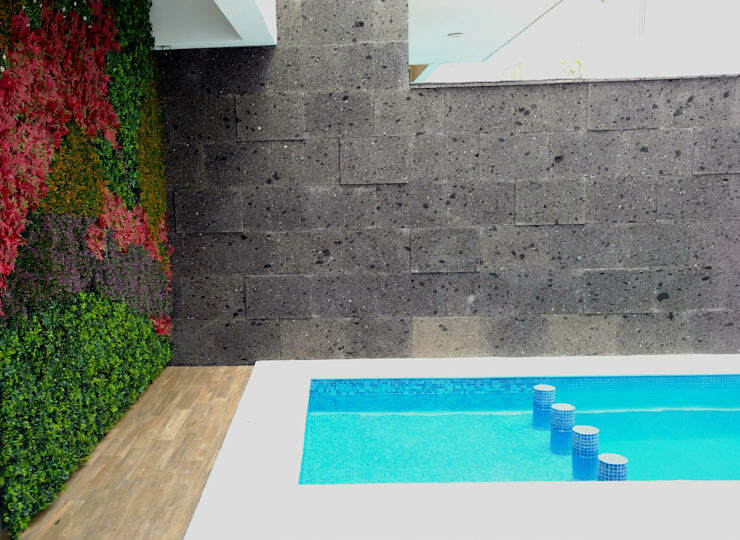 If you want to keep your home cooler and more in contact with nature, then covering up the walls with a creeper fence it is a gorgeous option. 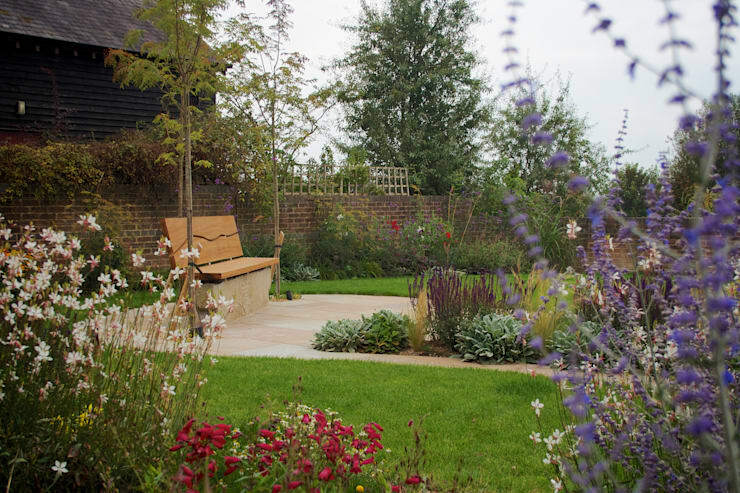 The beauty of this is the natural aspect that brings colour into your garden. However, you may want to call in an expert gardener to ensure that the vines don’t grow onto your neighbours adjoining wall. A wooden fence has a traditional and elegant look to it, it’s versatile and can be made from a variety of different types of wood, ranging in price as well. The example in the image is made from short wooden planks, creating a sensational effect. Concrete is a fantastic option for your home fence, it’s strong, simple and colourless. The design adds an almost industrial effect to a modern home and with its patches of roughness, the concrete fence is filled with personality and unique charm. Bricks are a classic design material for external walls, they are durable and have their own irresistible beauty… create a classic English garden wherever you are with this fantastic brick and green lawn setting. Go on and add a bench for that authentic experience while you at it and make your garden comfortable. You may have liked the strength of concrete for your home, but ultimately you require a home fence solution that has a bit more character and style, then a stone fence might solve your design and durability problems. 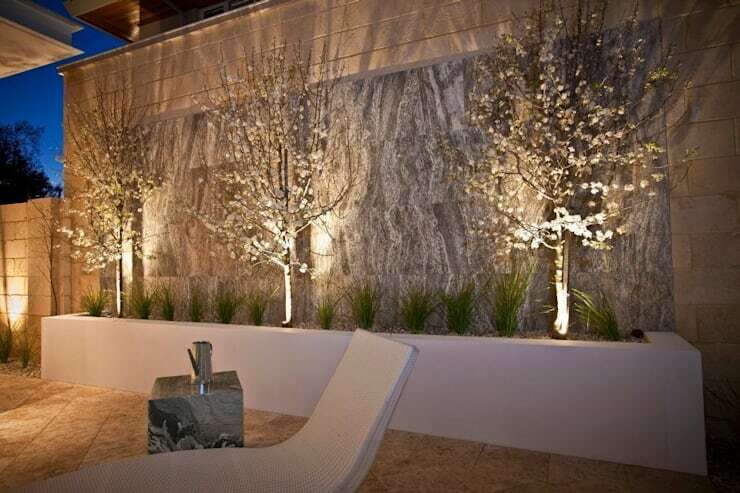 This stunning fence and pool setting might just be the best thing to see after a long day at work. 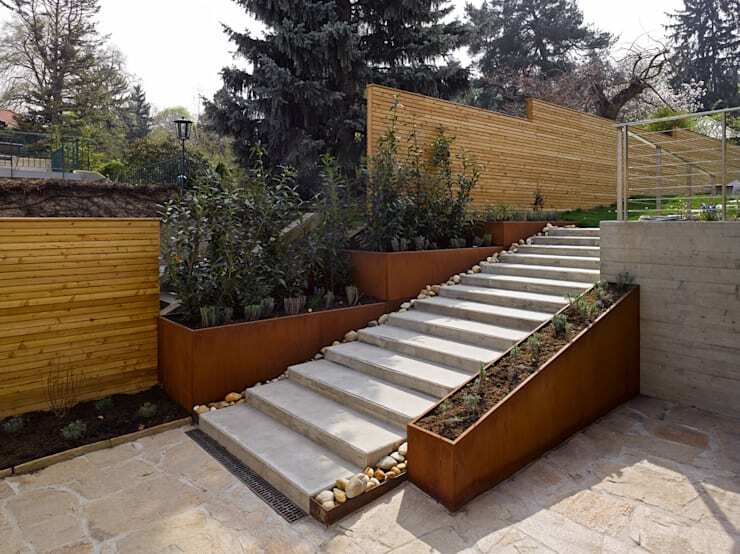 So you may opt for a dramatic and eye-catching fence to surround and protect your home… this trendy and contemporary fence is attention seeking, attractive and overall fantastic. 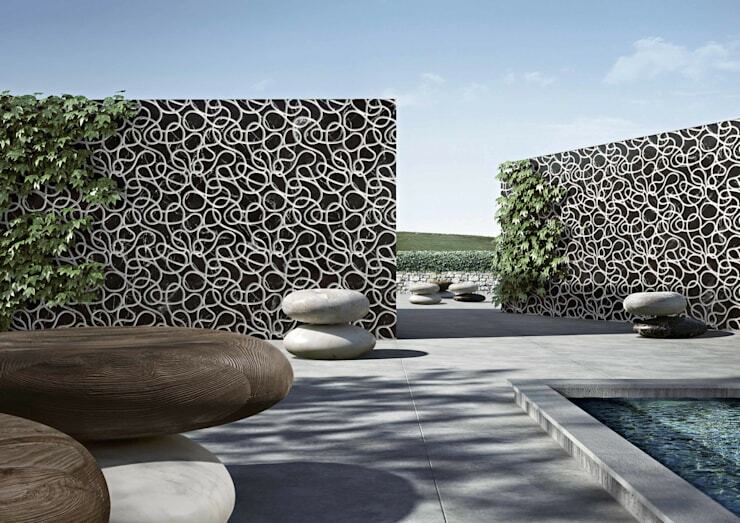 The futuristic fence stands out like a tapestry, making your home so much more fabulous from the outside. Now that you have your fence covered in style, Check Out These 6 Garage Types for your home. What fence would you choose for your home?